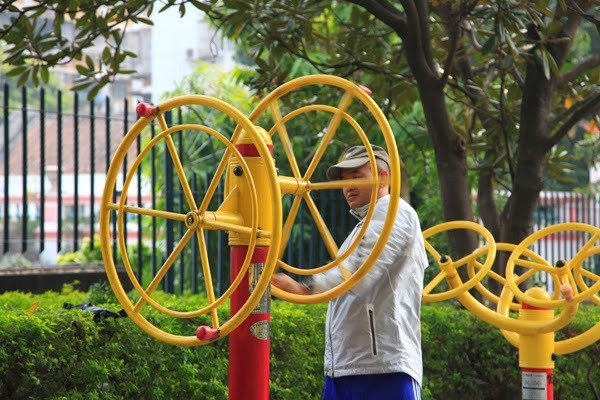 A common sight in Macau’s public parks, particularly in the morning, is residents working out on brightly painted built in exercise equipment. I wonder if the appeal of exercising outdoors and not paying a monthly gym membership is motivating for borderline couch potatoes. Equinox eat your heart out.